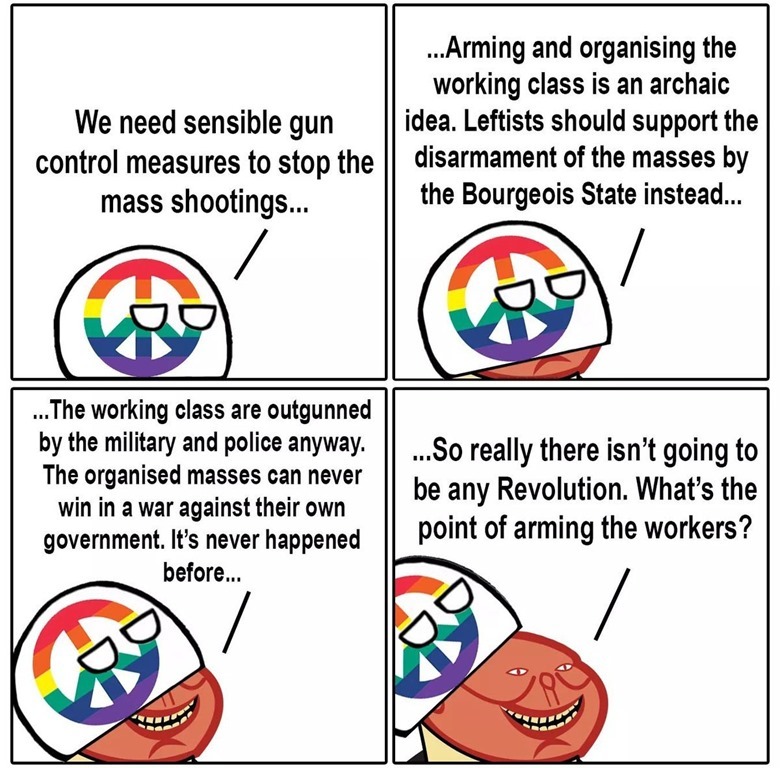 While this is a certain amount of logic to this line of reasoning I suspect leftists believed they would take over the government in this country without a violent revolution. And, of course, guns in the hands of their political enemies would be a very bad thing when they started the purges. Now, I suspect they are a bit conflicted. 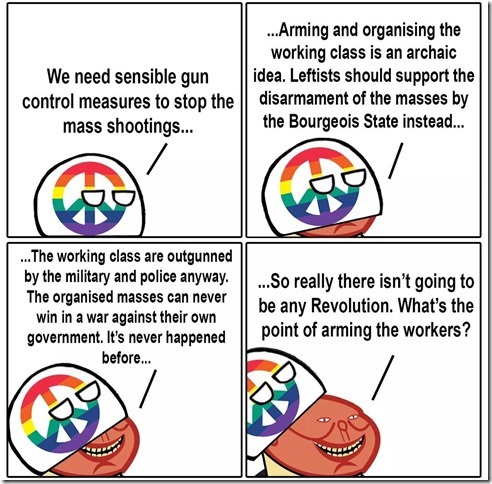 I’ve actually heard a form of this argument from a red-black gun-owner-but I once mistook for a friend. His logic was that we don’t need ARs for armed resistance because we don’t really mean it. If we did, he said, we would already using them, because Drumpf. This useless collection of rage and folly would permit us to retain our cowboy guns. Like most proglodytes, he hasn’t noticed that no one’s asking his permission.